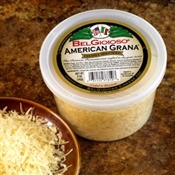 American Grana has an abundance of flavor, much deeper than Parmesan with a more granular texture. 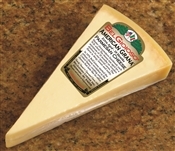 For the first time ever, this outstanding Italian cheese is made in the United States with the same craftsmanship and care as the original one. Aged a minimum of 18 months, it will bring an unbelievable flavor to any of your Italian dishes. 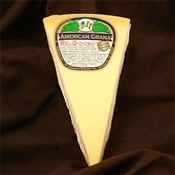 American Grana, produced in traditional 70-pound wheels, is hand-turned twice a week to provide you with a remarkable flavor.